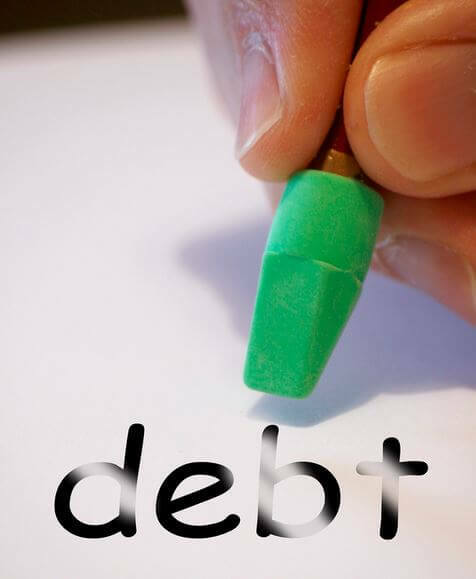 Do you experience dread or feel a bit queasy when you think about your debts? Or worse, find it hard to sleep at night because of worrying about them? If so, you’re not alone. Debt has a nasty habit of making its victims suffer from stress, anxiety and even depression, all of which in turn can lead to sleep problems. If your debts are weighing heavily upon you, it’s probably for a good reason. Your subconscious mind could be telling you that “things aren’t right” with your finances. You might already be witnessing some warning signs like feeling guilty when you spend money, some of your bills being paid late or just running out of money before the end of the month. Luckily, you don’t have to wait for your debts to “get you” – that point where your finances spiral well out of your control and you’re forced to deal with your debts anyway. There are a few changes to make now so you’ll no longer lose sleep over debt. 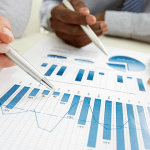 As hard as it might be to actually add up those numbers, this is a really important step in facing up to the extent of your financial situation so that you begin to make things right again. As a child, were you afraid of the dark or of bedtime monsters? If so, didn’t your fear disappear when you turned the light on? This is exactly how it is with scary debt problems too. It won’t be nearly as bad as you think once you know what you’re dealing with. Once you know exactly how much debt you have, you can make headway in doing something about it. The best way to get out of debt is to pay it off. That does sound very obvious – it is – but it’s not quite as simple as you’d think. Paying off debt consistently is tricky; you’ll need some serious willpower for starters. But the fact of the matter is there’s no point in burying your head in the sand, continuing to make the minimum payments on your debts month after month, all the while carrying on living your life as normal or trying to keep up with the Joneses. That won’t get your debt paid off. On the contrary, you’ll end up in debt for much longer than you need to. To start with, make a note of your income and expenditure and cut out any costs that you can. If you want to get out of debt as fast as possible, this may mean being quite extreme about what you do spend your money on each month. The thing about cutting costs in your budget is that there are only so many areas you can do this with. You’ll still need to buy food and pay your priority bills. So the best way to get hold of cash so that you can overpay your debts is to try to earn more money. This won’t be easy, especially if you’re already working a full time job or are raising a family. However, it certainly is possible. There are many jobs you can do on the side or online to make money. If you have a particular skill that you’re good at, you can probably earn money with it. Check out Fiverr or People Per Hour, where you can advertise your services. To get your debt repayment off to a good start, sell your old stuff on eBay or in local Facebook groups for a quick cash injection. If your debt situation has already reached crisis point and you think that cutting costs and trying to make extra money won’t help you in the short term, then don’t be afraid to get help from a professional debt advisor. There are lots of different debt management solutions which can help you get back on an even keel so that you can think straight and move forwards. You don’t have to lose sleep over your debts, even if they are currently out of control, because there is always a way out of debt!